Photo by Dan Monick Surfer Blood have a follow up to their debut, Astro Coast, slated for release in October. 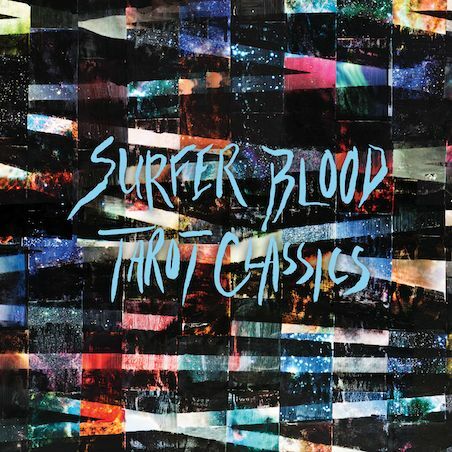 Surfer Blood have a follow up to their debut, Astro Coast, slated for release in October. The band will release their Tarot Classics EP on October 25 through Kanine Records. It'll be a four track EP out on vinyl, CD and digital download. The EP will contain bonus remixes from a number of other bands including School of Seven Bells, Speculator, Baroness' Allen Blickle, and Totally Sincere. Now watch a live version of "I'm Not Ready" below. Surfer Blood - I'm Not Ready - Halfway House Sessions from Halfway House on Vimeo.